Every once in a while, it is nice to go on a vacation, to unwind and relax. 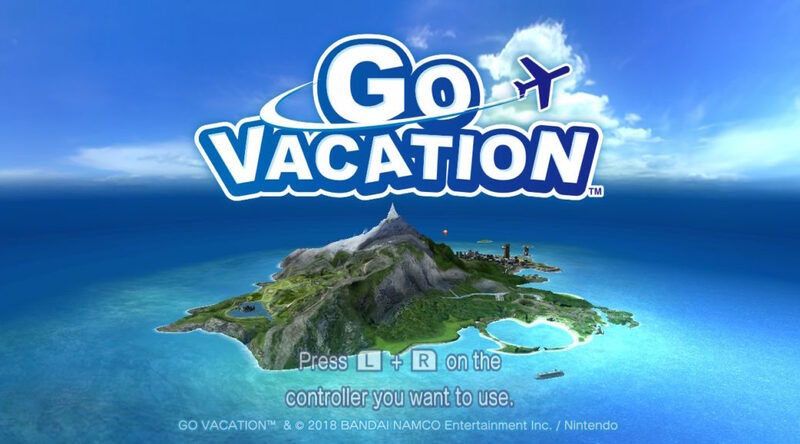 Bandai Namco clearly has something in mind when they made Go Vacation, so read on to find out if Go Vacation can replace a real vacation. Just like a getaway vacation, Go Vacation takes you away from your usual scenery to an island that can satisfy your summer beach needs, as well as, your winter sports needs. 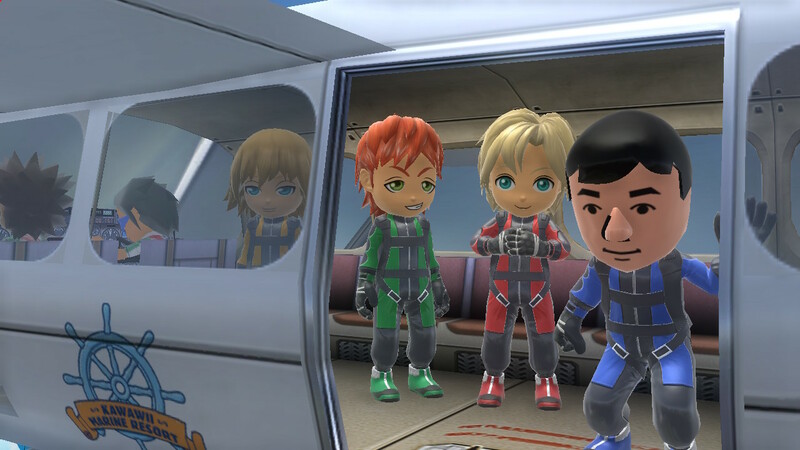 You start the game alone, or with up to three other travel buddies, playing as your own Mii or an in-game created avatar. And while you’re at it, why not bring a dog along for the trip as well. Once everyone is packed, playing with either single joy-con, or two joy-cons, Kawawii island is open to exploration. Kawawii island is enormous. 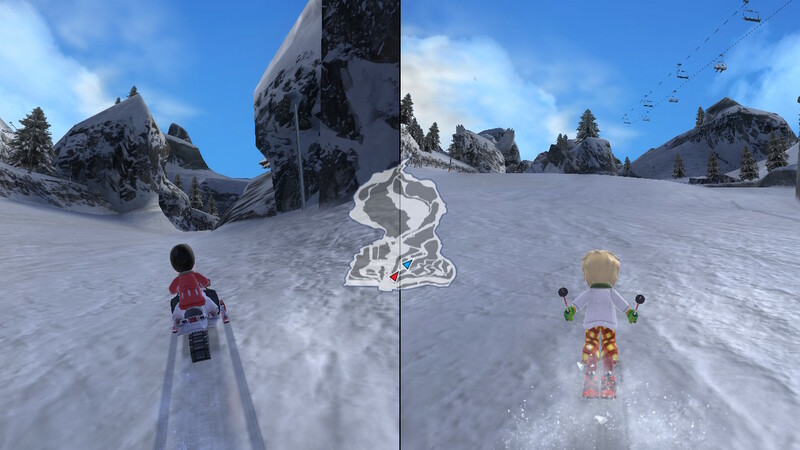 Split into 4 distinct areas, Marine, Snow, Mountain and City, each region has over 20 mini-games for you to play around with your friends. With more than 50 co-op or competitive mini-games to play with your friends, you would think that there is much to do and that is pretty much very true. Yet, when it comes to mimicking the excitement of a real vacation, Go Vacation disappoints. 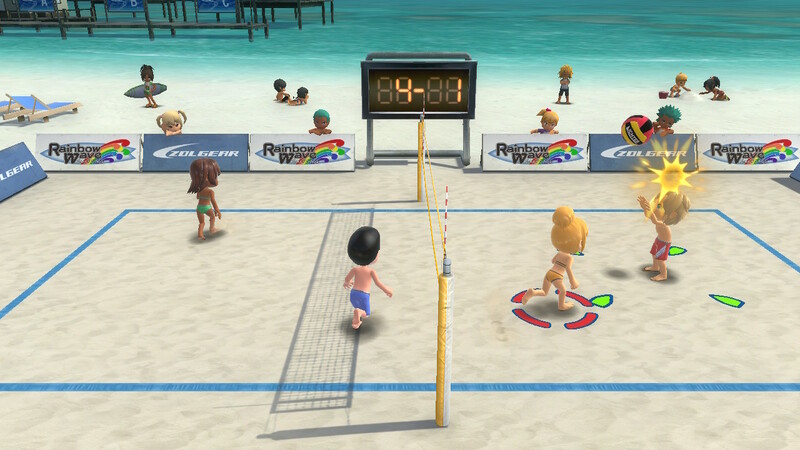 Many of the mini-games resemble each other, using the same controls to achieve a mostly similar task. 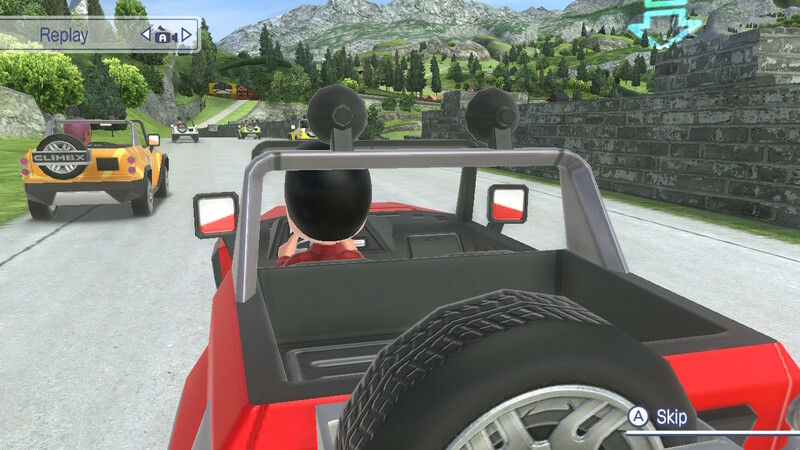 I can’t remember how many times I have played a racing mini-game or a stunt performing mini-game in Go Vacation. Such repetitiveness doesn’t make for an enjoyable time, especially with all the friends around. Moreover, most of the minigames lack sufficient depth. They are too simplified, providing a lacklustre experience. Competitive mini-games fail to trigger a sense of competitiveness while co-op games fail to give a sense of achievement. However, that is not to say that Go Vacation doesn’t have exciting mini-games, mini-games such as snowball fight did bring some fun and laughter to the house. Outside of the minigames, there are still much to do. You can explore scenic areas, go fishing, or even just take a leisurely stroll around Kawawii Island. In fact, to get from mini-game to mini-game in Go Vacation, you have to literally travel from one corner of the region to another, meaning it is not as instantaneous as selecting from a list of mini-games. This is where Go Vacation is such a hit and miss. While it is interesting and even a little exciting to go explore around an island alone, from a house party point of view, these are things that are not exactly fun. A slow walk down the beach is just not as fun on a game console. While Go Vacation tries to take us on vacation, its effort at mimicking real-life dulls the whole premise of the game. It’s hard to complain about Go Vacation’s graphics. 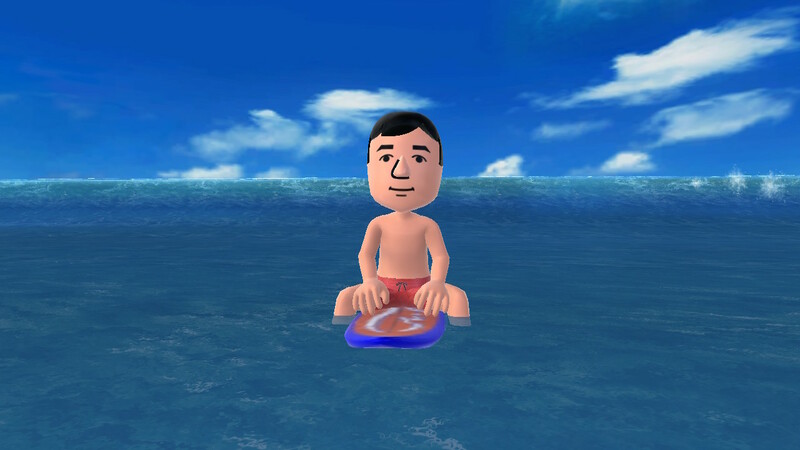 The art style is fun, and although they have their own set of avatar art style, Nintendo’s Mii complements the overall look and feel just as nicely. They are quite distinctively Nintendo-esque, and that is a good thing. Go Vacation is a game that neither does well in the field of replicating a vacation experience, nor a party game. While trying too hard to give a full Vacation experience, it has forgotten that it is at its core a game. Its variety of mini-games, while large, are quite forgettable. If there is any consolation, the game’s massive amount of content means that every time you visit the game for a “vacation”, there is something new and fresh to do. It is no a bad game, but neither is it a great one. A review code has been provided by Nintendo for the purpose of this review.